Forget waiting in long lines to get transportation from Las Vegas’ McCarran International Airport to the Strip. 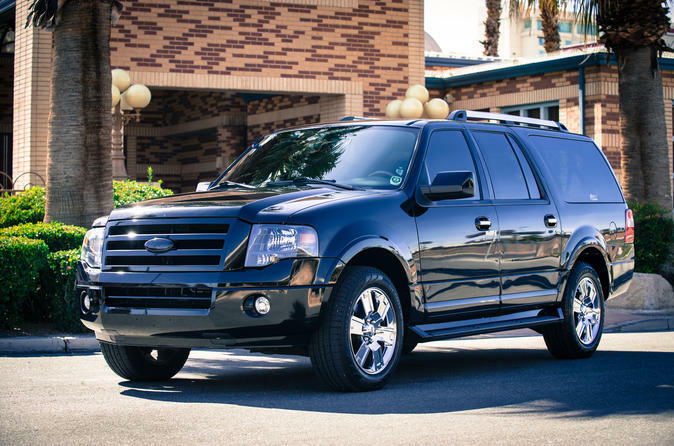 With a private transfer, you can be at your destination in minutes, without the wait. Efficient and informative staff will ensure you arrive at your hotel quickly and comfortably and ready for Sin City. When it’s time to return home, a quick phone call will summon your ride back to the airport in no time. Reduce unnecessary travel stress with this seamless, private round-trip transfer from Las Vegas’ McCarran International Airport to your hotel. A knowledgeable staff member will ensure you don’t have to risk waiting in line for your transportation — you can save the gambling for the Strip. This convenient, reliable door-to-door service makes travel easy. Please note: the price displayed is per person based on five (5) passengers in a SUV.